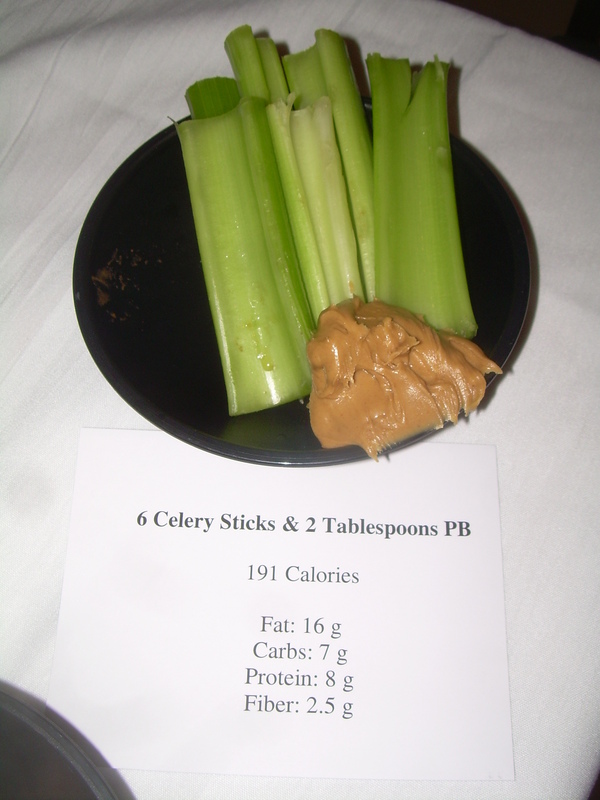 First off, my apologies to Emily since this post is very similar to hers. But I figured that not everyone who reads my blog is also reading hers, although I highly recommend you take time to read her blog as well! Today over lunchtime we got to set up shop in the dining hall, complete with a white table cloth. 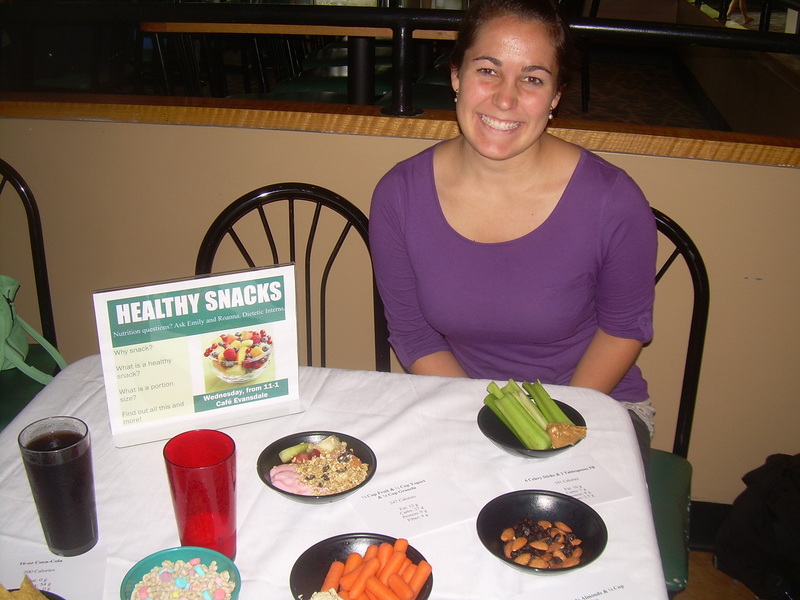 We were surrounded by a variety of examples of snacks- some healthy, and some NOT so healthy. 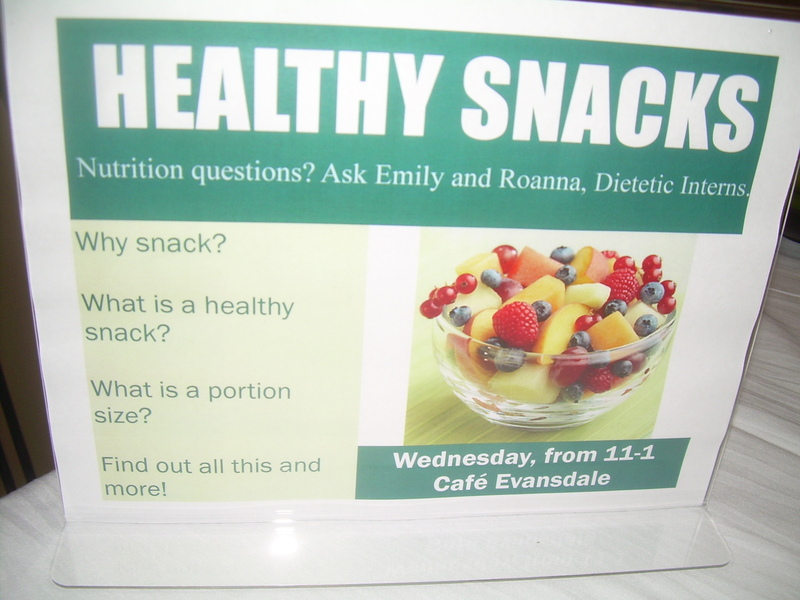 Armed with a stack of beautiful brochures that Emily designed, and a “MyPlate” wheel for quickly calculating calorie needs and servings from each food group, we set up to educate the student population about healthy snacking. The station generated some interesting conversations, and it was fun to make ourselves available to anyone who had an interest in stopping by. 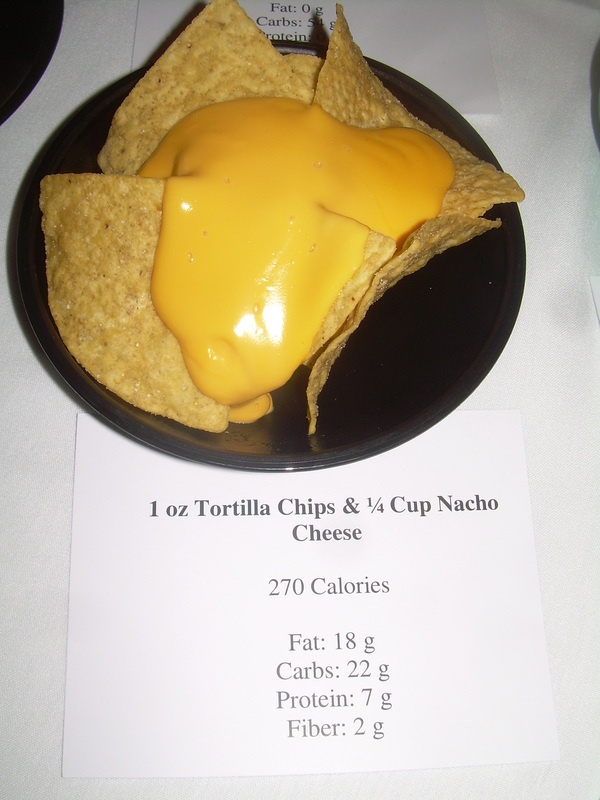 Although, it wouldn’t be hard to turn those unhealthy chips and cheese into a healthy snack, by swapping in whole grain tortilla chips, and a 1/4 cup salsa instead of the cheese! 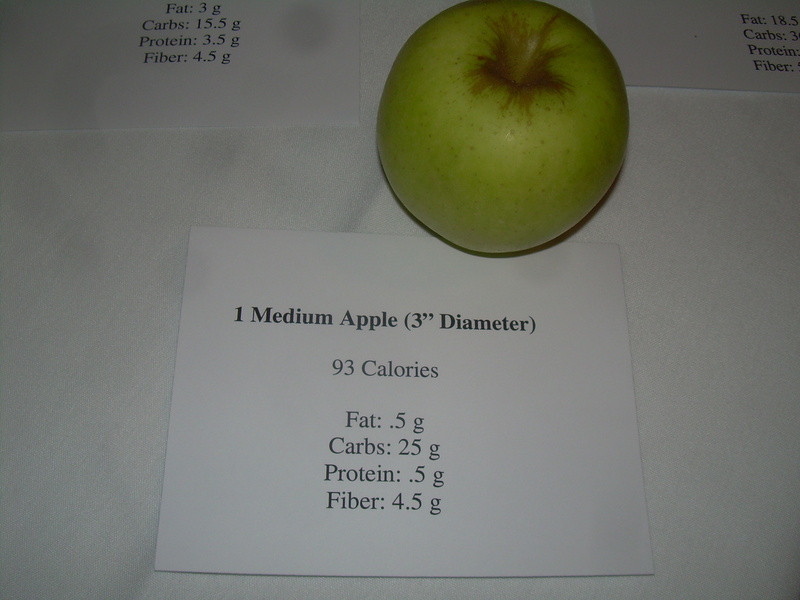 Categories: Food Service, Wellness | Tags: apple, celery, dining hall, dining services, MyPlate, peanut butter, salsa, snacks, tortilla chips | Permalink.